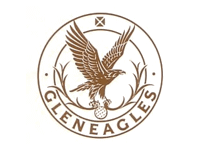 Gleneagles is like a world apart from real life. It's so peaceful, with a couple of incredible courses in the heathland. In addition there's the ominous Ryder Cup course designed by Nicklaus, but the original James Braid tracks are the bee's knees. That's where I would play every day, if I could. You can see deer bounding across the fairways in the morning. The Queen's and the King's are both visually stunning and great, great fun. The hotel and its restaurants has to be experienced. Ask to have your dinner served in the wine cellar where you'll be surrounded by vintage wines. Auch wir werden wohl einmal diesen Platz gut bezwingen können! War echt super! Super Zustand, super Landschaft, viele viele Bunker! Diesen Platz zu spielen, im Wissen das hier ein Duel zwischen Nationen ausgetragen wurde macht die Stimmung einzigartig.